Description : The Kamla Nehru Park was made as an honor to a freedom fighter from this part of the country who goes by the same name. 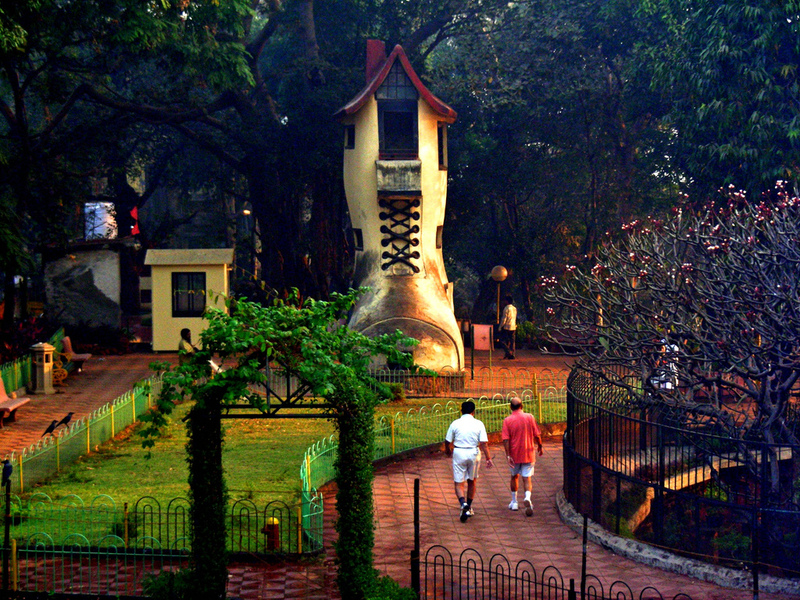 The park is special because it offers tranquil surroundings to the people who stay close by and has a jogging track. I sat here for more than an hour and it completely relaxed me. From the National War Memorial Southern Command Pune, we moved on towards our next destination which was the Shaniwar Wada Pune. It is actually the name of a fort built in the year 1746. 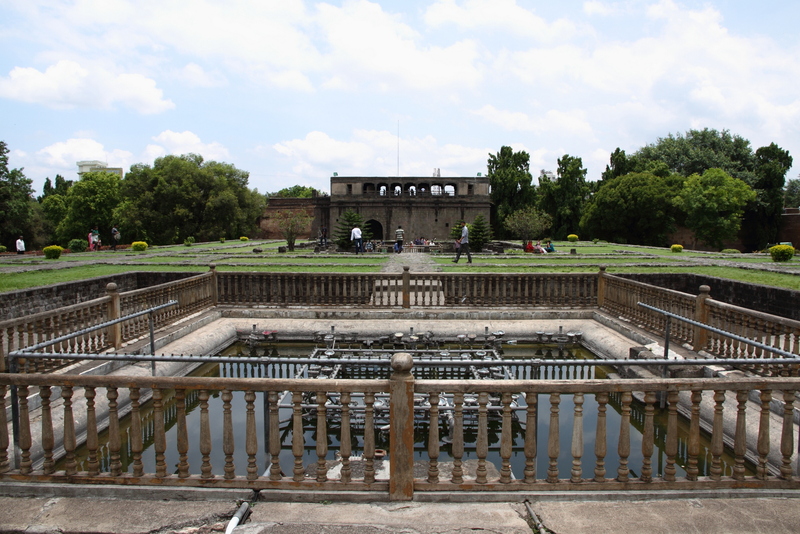 This 18th century monument used to serve as the base for the Peshwa rulers of Maharashtra till the year 1818. It is located on the banks of the Mula Mutha River in an area called Kasba Peth. However, Peshwas of the Maratha army had to shift their base after they lost the Third Anglo Maratha War and had to surrender almost everything to the Britishers. There are reports which show that the fort has also suffered greatly in the year 1828 due to a mysterious fire. The structures that survived the damage are presently maintained to form a tourist spot. 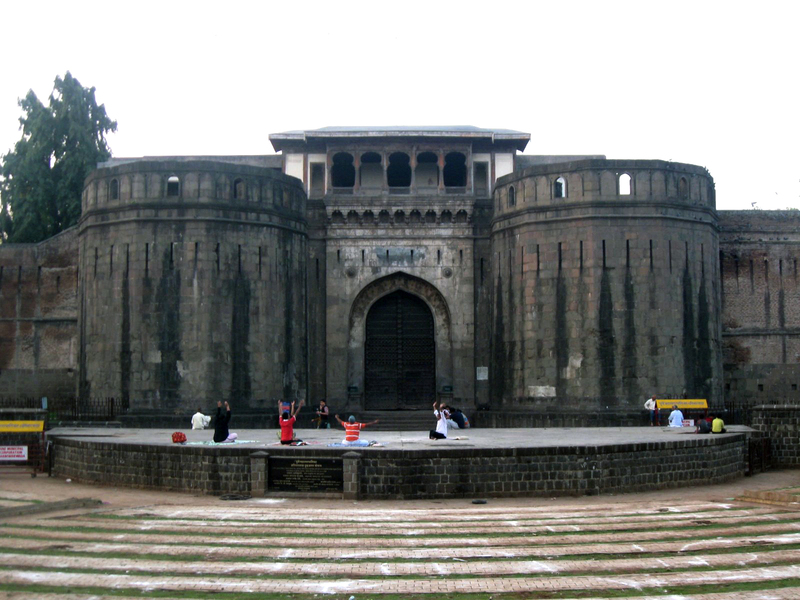 The Shaniwar Wada was actually constructed to serve as a residence of Peshwa Baji Rao I who was Chattrapati Sahu’s prime minister. We came to know that the mansion was built using teak imported from Junnar, lime from Jejuri and stone from Chinchwad. While the foundation stone of the mansion was laid on 10th January, 1730, it got completed in two years with a total expense of INR 16,100 at that point of time. With the passage of time, several modifications were made to the mansion. We came to know that reservoirs, fountains, court halls, gates, bastions and fortification walls were added at a latter point of time. The gates have different types of names such as Dilli Darwaja, Khidki Darwaja, Narayan Darwaja, Ganesh Darwaja, Alibahadur Darwaja, etc. We spotted around five gateways along with 9 bastion towers at different points of the fortification walls. 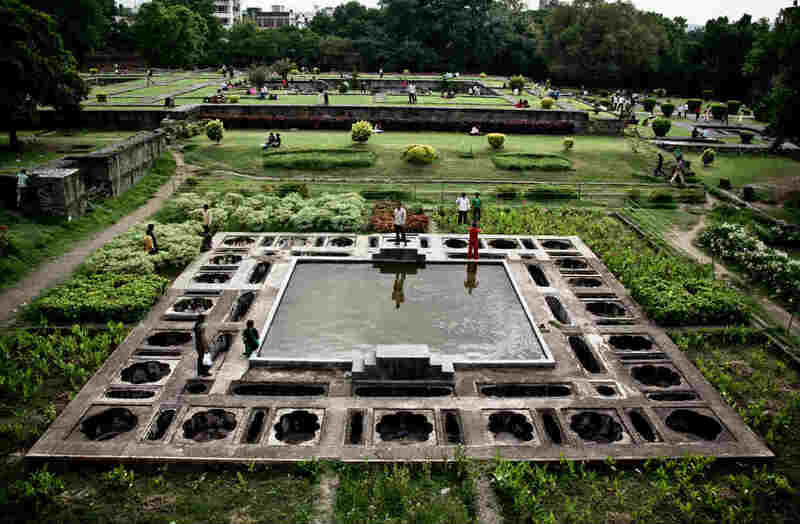 The sight of the lush green gardens surrounded by remains of the original building was simply mesmerizing. One of the saddest things about the fort is that it is not able to garner much attention and care from the Government. 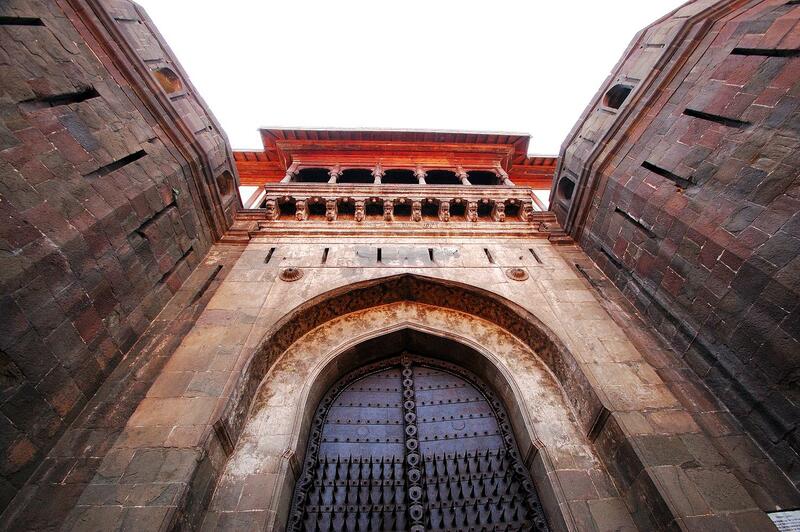 Due to these reasons the advisory committee of the fort had to house different types of private businesses within the Shaniwar Wada. One of the key attractions of the mansion is its beautiful light and sound show which takes place during the evening. 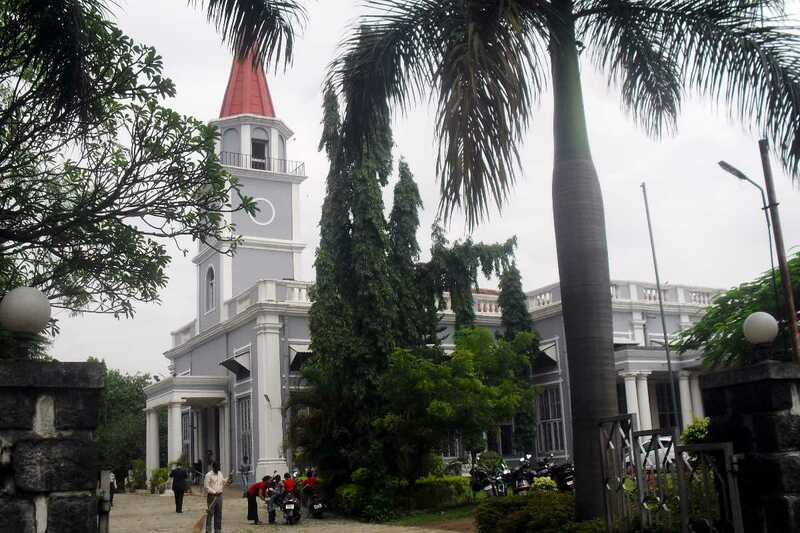 St.Mary’s Church Pune : I have always loved churches and make sure I visit them once in a while. The St Mary’s Church in Pune was a breath of fresh air in my tension inducing student life. It was serene and calm and is one of the iconic monuments in the city. My parents and relatives loved it too and we had a wonderful time there. We reached Pune at around 8 in the morning after spending two days in the train. However, we didn’t feel the brunt of the long journey mainly due to our excitement about the new places that we were going to visit. We headed straight towards the hotel we had booked over the internet but didn’t want to waste time by relaxing. Instead, we freshened up, packed all the necessary stuff and decided to start our exploration venture on the same day. 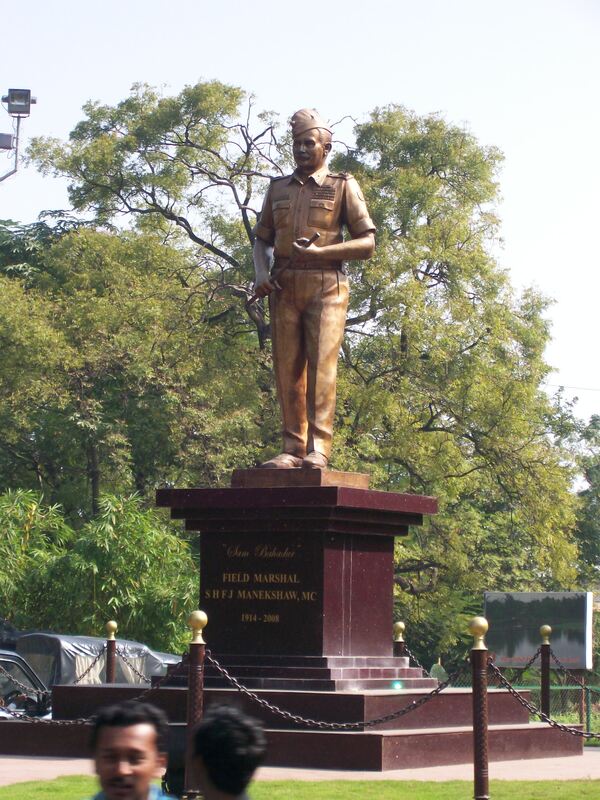 The first destination in our list was the National War Memorial Southern Command Pune. It is actually a war memorial to commemorate contribution of the martyrs of the post independence wars that took place in India. The best thing about this war memorial is the fact that it has been erected completely with the contributions of the citizens. 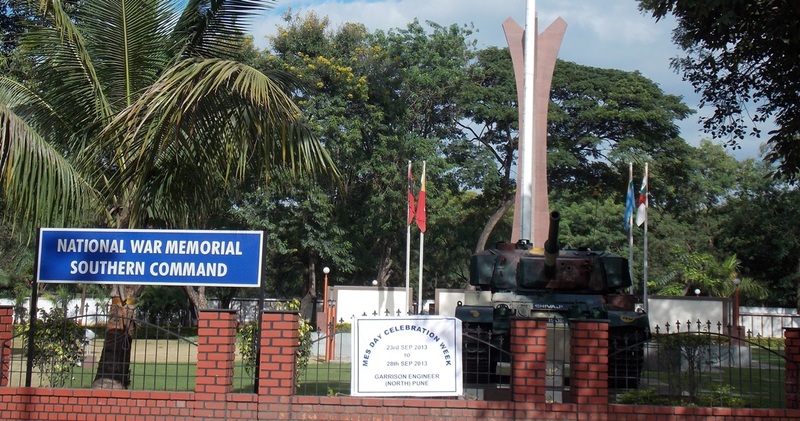 It was constructed and devoted to the country on its 52nd Independence Day in 1998. We were extremely proud to have been born in a country with such brave people. We also felt a bit sad since we never worry about the fact that all our freedom comes at the expense of these sacrifices made by the people at the borders. 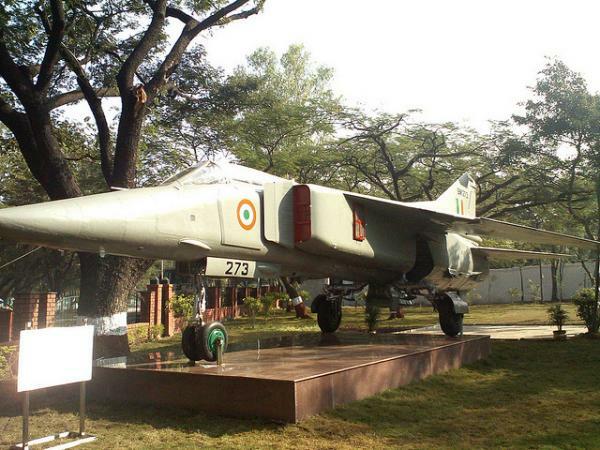 One of the most attractive things about the memorial is the presence of the Mig 23 BN which is regarded to be utilized during the Kargil War. We also spotted a copy of the now dysfunctional INS Trishu which played a major role during the Indo-Pakistani war in 1971, put up on display. One of the locals told us that the memorial has received a payment of INR 32 lakhs for undergoing renovation thanks to the efforts of the Pune Cantonment Board. The memorial has been decorated with new landscapes, laying pathways and lawns with this amount. Despite being adorned with beautifully arranged trees, flowers and other structures, the entry to the National War Memorial Southern Command Pune is completely free. The time period between October and March is considered to be the best one to visit this place as the entire area stays covered with lush greenery. We spent around an hour to pay our tribute to some of the many unknown freedom fighters of the country. I have been born and brought up in Uttar Pradesh which is considered to be the country’s largest area in terms of population. I have always been fascinated with the beautiful and colourful spots that my state has on offer. There is no doubt about the fact that Uttar Pradesh attracts millions of visitors every year on various religious occasions. However, the extreme rise of population as well as pollution has resulted in the state becoming extremely dirty. Even the holy Ganga which flows through the heart of the state, has become extremely dirty. It is due to these reasons that I have selected my future as a quality environmental engineer. Being a student, I always have a knack of exploring new and unique sites. Well, this eagerness of mine has also contributed in deciding my aim in life. I would love to get a MS degree from the United States and in the process, would get the opportunity to fly beyond the country’s borders. I am an avid lover of nature and wildlife and go out on short trips with my friends with an aim of exploring mountains, dense forests, crystal clear rivers, etc. Adventure is one of the greatest passions of my life and I never shy from different types of lively activities such as camping, trekking, mountain cycling, mountain climbing, etc. I had finished my semester exams and wanted to plan a short trip with some of my college friends before going back home. I had spent a lot of time in unravelling the mysteries of North India and so I chose to travel to the other half. After a lot of arguments, we decided to travel to Pune via LJN Pune Express as it would completely suit our budget. 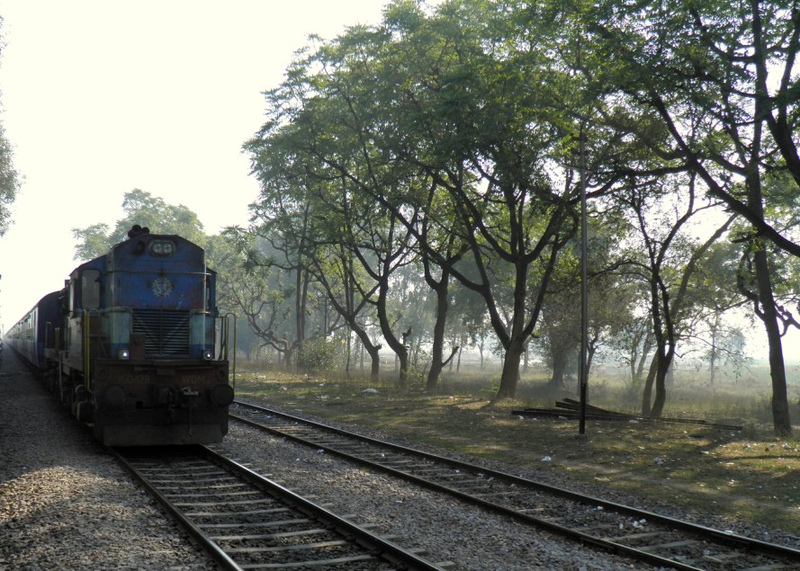 The Kanpur Pune route can be covered in various ways like bus, train, car and of course flights but trains are undoubtedly the most feasible option. The LJN Pune Express arrives at Kanpur at 7:50 AM and we had just 10 minutes in hand. We knew that the train would take almost two days to cover the entire Kanpur Pune route of 1,480 km and prepared ourselves accordingly. Description : It’s a great Quote with a wealth of meaning. This Chinese scholar has aptly said that great success stories all start with the initial effort of a human being which may be a little strenuous. 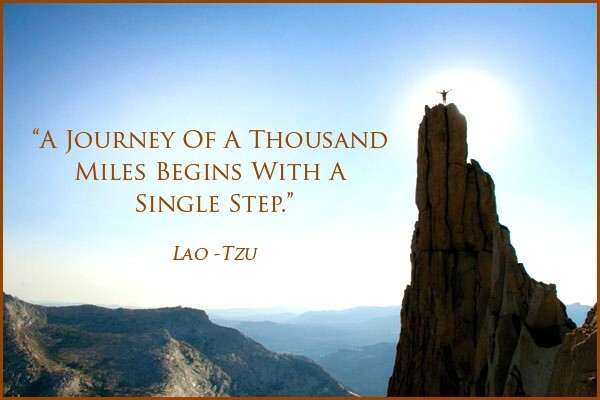 But that one single step in the right direction can lead to a journey of happiness that will last for a great time and will cover a distance of thousand miles! Its holiday time, a time to cook, hang out with friends and enjoy. Willing to have something spicy, cool and crispy all at once. 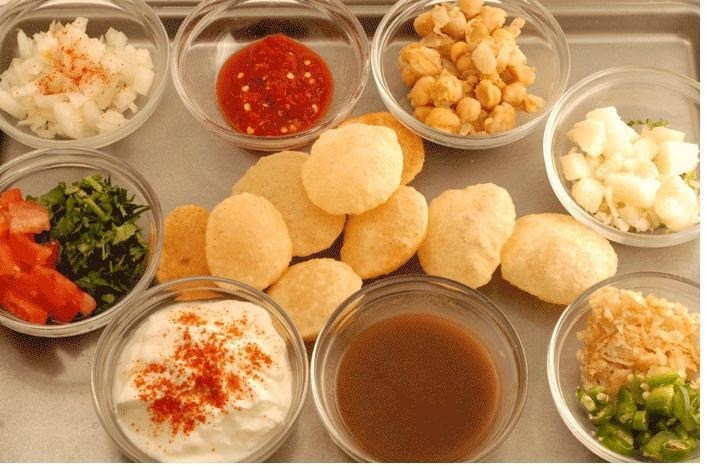 So just rushed to my food desk and began preparing puchka known as “Gol Gappe” “Paani Puri” across India. This dish is my own state invention an am proud to make it. Here is the recipe which I had learnt from my Mom. Hope you all enjoy the tasty Gappe this summer. 1 tbsp. – Dried Mango Powder, Tamarind Liquid, Roasted Cumin Seed Powder and Sugar. 1tsp. – Black salt, Red Chilli Powder, Coriander Powder. ½ tsp. – Black pepper powder. 1 cup – Mint Leaves. 1 litre – cold drinking water. Boiled potatoes -4 medium sized. Mix all-purpose flour +Rava + Water and knead the dough for 5mins. Then cover it with a damp cloth for 30mins. Take a plastic sheet grease with little oil, knead the dough divide it into 4 equal parts. Take one part and make it like a chapatti. Keep the chapatti in level not too thin. 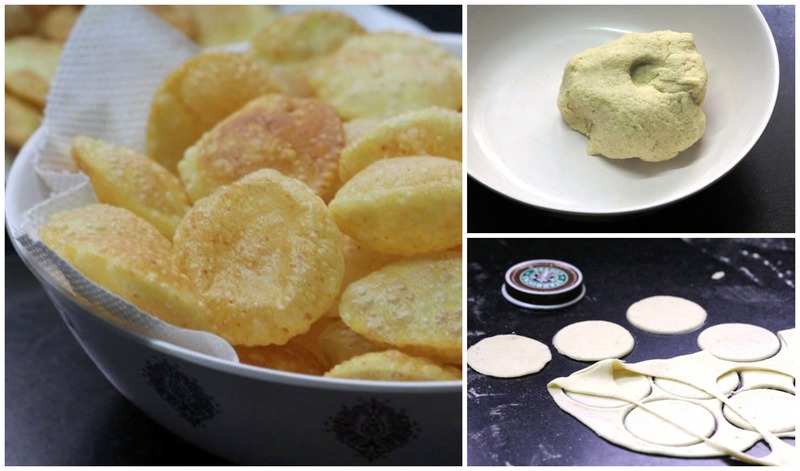 Then take a circle shape and cut puris out of it. Keep the puris on greased sheet until you fry them, also cover them with damp cloth. 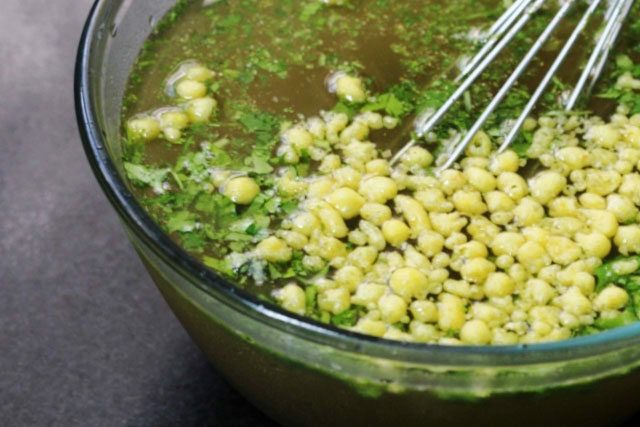 Then pour 2 cups of cold water into the paste and blend both together. Pour the remaining water too, stir them and refrigerate the water. Prior use add the lime juice and serve with stuffed Puri. 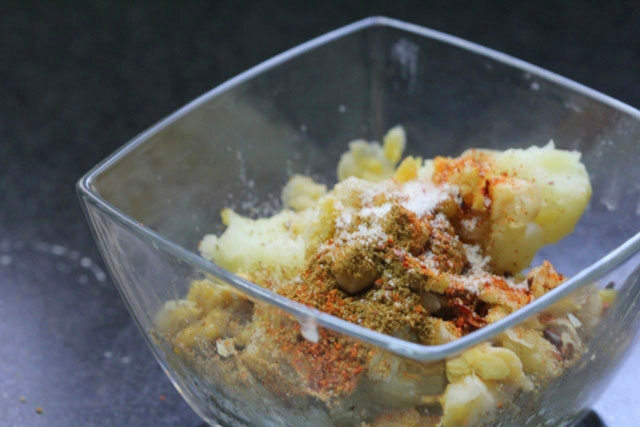 Take potatoes, mash them add little of chat masala and mix it well. Add boiled black gram, green Moong and Boondi to the potato mix. Then fill this into the Puri, dip the Puri into the water and garnish it with finely chopped onions. 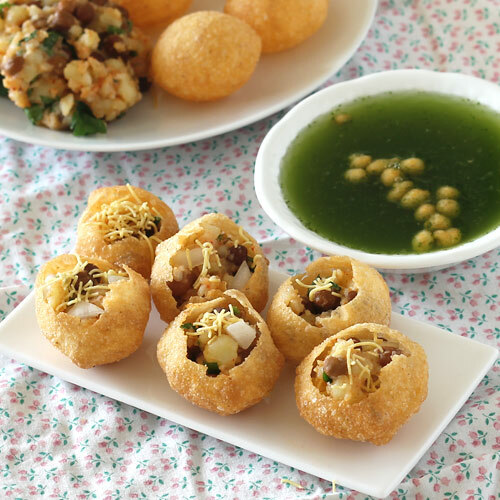 Enjoy, the spicy gol gappe and let me know your feedback.